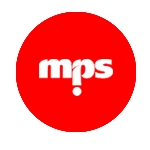 Sign Systems at mps provides bespoke design for a wide range of functions within our clients’ marketing communications. If it’s large, three dimensional and not necessarily digital or made of paper, then Sign Systems handle it. The wide range of materials used by our signage people provides endless possibilities, whether it’s computer-cut, laser-cut, backlit, front lit, magnified, protruding, larger than life, reflective or simply one-off. It’s possible.